Company F, 2nd Battalion, 5th Marines – Their History. Retired USMC Lt. Col. David Brown and his daughter, Tiffany Brown Holmes, team up to write the definitive history of one of the best fighting units in the Vietnam War. They finally share with the rest of the world, the real history and the stories of one of America’s finest fighting units from the Vietnam War – Company F, 2nd Battalion, 5th Marines. Their history is told with much pride in a book called Battlelines. The book gives us the unit’s history through personal accounts of those who served from 1966 through 1971. It is all about real heroes and brotherhood and team work; but it is also about death, wounds and PTSD. It is about shared experiences in hell and funny stories as well. The authors did a great job of piecing this unit’s history together so that it flows as one story as you read the book. There are some memories that hurt and will bring tears and some that may bring a smile. This book is about real men facing life and death and taking care of each other in the process. This is what the Marines are all about and this unit is one of the finest examples of that spirit. There were at least two men who were awarded the Medal of Honor and the unit had a host of other men receive various and numerous medals for heroic deeds. But this unit also got more than its share of Purple Hearts (for wounds received while in combat). “Fox Company” even got aPresidential Unit Citation for the battle for Hue. This was not some garrison troop that went out on an occasional patrol. This was a fighting force to be reckoned with as the NVA and VC forces found out. Vietnam War Poetry That Captures the Heart and Mind. Emotional and spiritual and hard hitting poetry from the combat experiences of Lloyd King. In his well written book of prose, From ‘Nam With Love – An Infantry Soldier’s Vietnam the reader is transformed along with the poet as he lives each day in the Nam. The poems are chronologically composed so that the emotional and spiritual energy grows and changes as the poet’s “tour of duty” proceeds though the year. He labels the poems with dates that they represent; and occasionally ends some with a short footnote as to who was killed or if he was awarded some medal. I have read thousands of Vietnam War poems over the last decade and there is for the most part a certain sameness to them. However, King takes us on new pathways with his thoughts and observations and covers some themes that I have not read else where. One of my favorite poems in his book illustrates this point clearly by going in a more divine and mystical direction. The poem is called “The Vision” and it deals with a strange event that happens to him on Hill 903. There is much compassion in King's poems as observed in several of his works of prose, such as the experiencing of his first combat kill. It shows a softer and more human side to this warrior; one that shows he is not some emotionless crazed killing machine as is portrayed in so many books and movies. Lloyd’s personal thoughts and outlook on life are reflected throughout his book’s prose and also in his wonderful illustrations. This is one of the better books of war poetry written from the Vietnam War. It is this poet's journey of the heart and soul of that war experience and many others will be able to identify with him. I personally give this book my endorsement and highly recommend it to others. A book of poetry about the author's experiences in Vietnam. Through poetry and illustrations, King tells the story of the combat soldier. He takes us from day one to day 365 captivating us with all the emotion and heartbreak of war. Both insightful and inspirational, Lloyd strikes a chord in the human heart. Where Was This Book in 1965? I always felt that my basic training experience back in 1965 would have been much better had I known something about what I was going to endure. Now, modern day military recruits have at their finger tips, “The Ultimate Basic Training Guidebook” for surviving “boot camp;” and this is no exaggeration! Author, Sgt. Michael Volkin, has done a very creditable job of capturing all the needed information to survive basic training. He gives you insights on how and why things happen, and what you can do ahead of time to prepare yourself for that experience. I guarantee that if you follow his advice, as outlined in his book, that basic training will be much easier physically and emotionally for you. The keys from his many words of wisdom are to be prepared and to expect the unexpected. For those of us “old school” veterans from Nam or before – it is interesting to note that your DI can no longer physically hit you and kick you or punch you. Gone are the good old days of brutal and unrestrained training; but it still doesn’t mean that it is any easier to complete. There are those physical elements of running and push-ups and sit-ups that will always continue to challenge new recruits. Sgt. Volkin has broken his book into logical chapters that are both easy to read and understand. If you are going into the military you will find this book even more helpful if you get your hands on a copy and read it prior to reporting. It will give you an edge over others. Your confidence will also be enhanced because you will actually be ahead of the game and will know more than the average recruit. I enjoyed reading the book and I am not going back to basic training any time soon! As anyone who has undergone the transition from civilian to soldier will tell you, basic training is a lot tougher and more challenging than any recruit can imagine. Michael Volkin discovered that fact soon after 9-11, when his personal vow to serve my country convinced him to enlist in the U.S. Army. As Volkin quickly discovered, he was utterly unprepared for the new world of the military, "a completely different environment full of unknown exercises and acronyms, where can't eat or talk without permission. Volkin began taking notes on everything and anything with the hope that no one else would have to go through basic training like I did completely unarmed with knowledge that would have eased my transition into the military and allowed me to be more successful. During Operation Enduring/Iraqi Freedom, Volkin organized his notes, interviewed hundreds of other soldiers, and began to write. The result is The Ultimate Basic Training Guidebook, a unique and utterly indispensable guide to successfully coping with and thriving in today's military. The Ultimate Basic Training Guidebook is a comprehensive, practical, and easy-to-follow survival guide written specifically for every new or prospective recruit about to enter any branch of the armed forces. Volkin's book offers step-by-step instructions and solutions, including helpful charts and graphics, for how to prepare both physically and mentally for boot camp. It includes a special eight-week fitness program specifically designed to improve your fitness test scores, specific study guides, an instructional How to"chapter, a list of what to bring (and not to bring) to basic training, tips for success, and much more. A Timely and Insightful Look at the War in Iraq and Afghanistan. In this new age of information reporting, blogging has become an important link for soldiers to communicate about their own “war on terrorism” in Iraq and Afghanistan. In his book The Blog Of War – Frontline Dispatches from Military Bloggers in Iraq and Afghanistan author and military veteran Matthew Currier Burden brings us the “news” from the frontlines as fresh and emotional as it gets. This is not “your father’s war book” for sure – this is a forerunner of things to come, where books are written on blogs as they happened in real time. Burden does a great job of organizing the book and allowing us to feel and see different personalities and situations. There is even some prose mixed into the fold of this book and certainly lots of personal details about the life of our soldiers. This book is not some old censored news dispatch from the DOD but an insider view on what is really happening there NOW. Exciting, entertaining (if that can be said about war and suffering) and insightful; this book breaks new ground and allows us to get a better understanding of what is happening and has happened in our current war. The reader can almost place themselves in the situations and the events –the editing format allows you to fully immerse into the experiences. The book does not feel like a blog but more like a series of online conversations that you are allowed to eavesdrop on. The book is destined to set a trend for other blogger books as this one certainly leads the way with an excellent telling of our experiences in this current war. This will be a hard act to follow for the others! Matthew Currier Burden founded www.blackfive.net, one of the most popular military blogs on the Internet. His blog began as an homage to a friend killed on duty in Iraq and quickly became a source of information about what was really happening in Afghanistan and Iraq. In The Blog of War Burden presents selections from some of the best of the military blogs, the purest account of the many voices of this war. This is the first real-time history of a war, a history written even as the war continues. It offers a glimpse into the full range of military experiences in Afghanistan and Iraq, from the decision to enlist right through to homecoming. There are powerful stories of soldiers in combat, touching reflections on helping local victims of terror and war, pulse-racing accounts of med-evac units and hospitals, and heartbreaking chronicles of spouses who must cope when a loved one has paid the ultimate price. The Blog of War provides an uncensored, intimate, and authentic version of life in the war zone. Dozens of voices come together in a wartime choir that conveys better than any second-hand account possibly can what it is like to serve on the front lines. A Book for the Right Time and Generation! Once in a while a book is published that meets the needs of a certain group of people and generation. The book “Under Orders – A Spiritual Handbook For Military Personnel” is such a book! In fact, it goes well beyond meeting the needs and provides much insightful and thoughtful advice. It comes as a handbook for this generation of warriors who are currently fighting the war on terrorism; although it is advice that works well with any group or age of military people. Chaplain William McCoy delivers a handbook that is long over due and much needed in today’s military environment. McCoy uses language and phrasing along with life examples that are easy to understand. Readers of this handbook will not have to decipher hidden meanings or symbols – this is all basic fundamental and straight forward thinking. At the end of his chapters he has something called “Considerations”that gets the reader to think and do some personal evaluations. This book should be in the hands of all our military personnel. It should be required gear for anyone shipping out to a war zone or for a hazardous duty assignment. This is the kind of book that in time will become well worn, highlighted and dog eared because this book was written to be used and not just stored on a shelf. This book is the best of its kind and may be the only one of its kind. It is written for today’s Army, Navy, Air Force, Marines and Coast Guard. Under Orders is written for you in the military services who seek to nurture and sustain your faith in the face of war, deployments and the troubling questions of faith and life. Chaplain Bill McCoy's work is inspirational-- it guides soldiers as they struggle with the questions surrounding their service and their faith...a great book for soldiers to read several times throughout their careers, because while the questions he poses will always remain the same, the answers will change with age, experience, and in a deepening conviction. Under Orders should be in every rucksack for those moments when Soldiers need spiritual energy. A New Look at the Universe that is Entertaining, Spiritual and Intelligent. I have read about a dozen books by Vietnam veteran author Brian Wizard and have enjoyed all of them for many different reasons; but his newest fantasy / Sci-fi book called Space Egg is really his best creative writing to date. I say to date, because he is already at work on a sequel to this fascinating and mind expanding novel. The opening author’s notes start the reader off with a whole new thought process about divine energy and God and creation. It is enough to hook you right there – then the book gets even more interesting. The story takes place in Australia where Brian used to live and transports us to northern California and Reno, Nevada – other old vintages of the author’s personal life. I mention that because he has a feel for these places that he captures in mood of the story and through the actions of the characters. This book’s plot will not go logically to where you think the author is drawing the reader to. The twists and turns and events unfold much to your enjoyable surprise. Wizard has an uncanny ability to make anything sound exciting through his prose and careful use of dialog. He skillfully paints his story with his words but it is his plot idea that makes this book worth reading. The ideas he throws out in the story are really mind bending and expanding. This book can be favorably compared to the works of any of the world’s best fantasy writers. The only difference between the NY Times best selling Sci-fi and fantasy books and this one is that “Space Egg” lacks marketing and so it remains an undiscovered classic. I read this book until the wee hours of the morning to finish it. I was totally absorbed into the story and really wanted to know what happened. This book will please readers who like fantasy and Sci-Fi books but also to those who love a little intellectual stimulus with their entertainment. This is a great read. If change is as good as a rest, and you're not tired, do you really want a change? This is the question Ayre Light, pilot, poet and finder of the alien space debris he and his best mate, Billy, dub the Space Egg are forced to ask. Curious as to the makeup of the strange material, Ayre takes a long, strange journey down a path that leads him to discover the half-twist of a Mobius strip, perpetual motion, alien Gathers of such material, and has a short metaphysical visit with Ima Gawd, the Toymaker and creator of Divine Energy. Yet, this truly is a love story. Space Egg, A Half-Twist of Fate, is Brian Wizard's first Science Fiction story. This ebook is the original Space Egg story before its two sequels. A Book for Children That Is Unlike Any Other. There have been only a few children books that have managed to break new ground with a unique and unusual tales to tell like, “Willie Wonka’s Chocolate Factory” or “Alice in Wonderland.” Now, author Marc CB Maxwell offers young readers a potential new children’s classic with his book“The Wallace Dream – The Adventures of the Baby Seekers.” It is certainly different, creative and very entertaining. What began simply as a story to explain what a family is all about to their future adopted daughter from China, ended up becoming a creative fantasy that has universal appeal to other young readers; although many adults might enjoy reading this to their own children. This imaginative adventure story also serves to deliver some basic family values along with some great entertainment. Maxwell does well to keep the energy flowing throughout his story and young readers will have no trouble following the action. This book is a great escape from the harsh realities of the world. Children will benefit from this mythical like modern fairytale about becoming a family. This a good book for parents to use for bedtime reading or for older children to read on their own. The Wallace Dream - The Adventures of The Baby Seekers is a story about a husband and wife, Sam and Finley Wallace, who decide to make their family whole. Upon realizing that a baby is what they need, the couple sets off on a journey of fantastic adventures that will take them around the world. The Wallace Dream is for children and parents alike. It is a fantasy fairytale about becoming a family. The Wallace Dream is a modern version of the stork by mixing myths and familiar stories in an exciting new way. So join Sam, Finley, their Saint Bernard dog Kitty, Hans Dieter the tour guide, and an assortment of other characters as they look for the ultimate treasure. A Family. Insightful Tale of a WWII Infantryman. This is not just some simplistic WWII genre novel about war and battles; “Echoes From The Infantry” is a first class story of human relationships told by a writer who knows how to weave feelings, dialog and action successfully together! Author Frank Nappi takes the reader through the heart as well as the mind with his story. Father and son relationship issues surface as does the issue of PTSD (although not called that back in WWII). This book is so much more than a war novel, although there is plenty of action. The book explores the deeper recess of the characters and gives them real substance. They feel like real people facing the horrors of war and the problems of readjusting to family life in peace time. What makes this story even better, is the fact that the author crafted his storylines and even parts of some of his characters from real men that he knew. His experiences and eventual friendship with several WWII veterans gave birth to the idea of his book. He had invited these men over the years to his classroom to talk about their experiences to his students. The results of those class talks and visits inspired him to create a story loosely based on what they had gone through. This book is destined to become a war classic. The issues that Frank Nappi talks about are things that are still fresh issues with today’s troops. The way he reminiscences and unfolds the story is pure gold. Nappi is destined to find great success writing; as his talents become very clear when you have the honest pleasure of reading through the pages of his book. The author honestly conveys the emotions and feelings of his characters with little effort. The energy of his tale flows emotionally though his book. It feels like you are taken on a journey of the heart, as well as an adventure. Frank Nappi is a school teacher on Long Island who, over the last several years, befriended aging World War II veterans in his community. As he heard their reminiscences he became absorbed in their stories of simple heroism--and of trying to recapture what they'd left behind when they returned home. They are the stories of men who never asked for recognition or adulation, only a place in the free and prosperous society they'd built with their own blood, sweat and tears--men who could never entirely leave behind the horrors of the battlefield, or explain them to their own children . . .
Now, Nappi has synthesized those reminiscences and crafted them into a heartwarming and at times harrowing novel: Echoes from the Infantry. 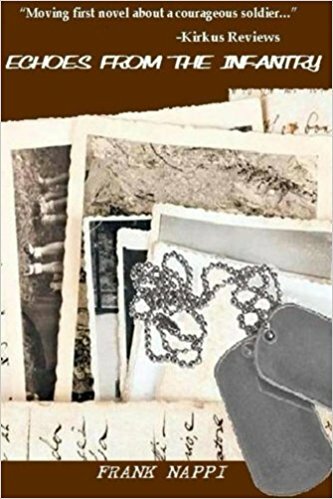 It is the fictionalized tale of one Long Island veteran, the misery of combat, and the powerful emotional bond that connected him to his fiancée back home and that allowed him to survive the war with his soul battered but intact. It is about a father and a son, and their ultimately redeeming struggle to understand the worlds that shaped each one--one a world at war, the other a world shaped by its veterans. Best Book on the War in Iraq! It is rare indeed that you will read a book about war that is so absorbing and entertaining; yet, it is as analytical and probing as any great history book can be. Richard S. Lowry has written the definitive accounting of the battles in and around An Nasiriyah. That includes what happened toPrivate Jessica Lynch and her fellow soldiers of the 507th Maintenance Company – their capture and misfortune and her eventual rescue from the hospital days later. In his book “Marines in the Garden of Eden,” the whole story of this operation unfolds for you beginning well before the actual combat starts. He brings to life the men and women in the various units from the privates to the generals; he lets you know them as people. His writing style is unique in the best of ways. He weaves in all the little details of what was going on by several groups involved in those early days of the war. He simultaneously chronicles the actions taken by each unit so that it gives you an almost god-like view point of the war. You could never experience it like this – even if you were actually there in all the action! His depictions of the battles are crisp and full of energy and give you that eye-witness feeling. This is good reporting and good story telling. This book will be read by military historians for many long decades. It is well documented, well structured, and easy to read. It is also a great book just to kick back and read on the old sofa. On March 23, 2003, in the city of An Nasiriyah, Iraq, members of the 507th Maintenance Company came under attack from Iraqi forces who killed or wounded twenty-one soldiers and took six prisoners, including Private Jessica Lynch. For the next week, An Nasiriyah rocked with battle as the marines of Task Force Tarawa fought Saddam's fanatical followers, street by street and building to building, ultimately rescuing Private Lynch. A Brilliant WWII Novel that is Absolutely Mystical. Kip Vander Hyde has taken WWII history and fantasy stories into a new and improved genre with his novel My Father’s Keeper. His story deals more than just with father and sons and what war does to men but also adds in some personal spiritual discoveries. This is not your same old World War II story that you have already read or seen in some old black and white movie – this is a whole new approach to understanding relationships through a little mystical intervention. The main character in this story travels to Guadalcanal looking for some understanding of his deceased father and why their relationship seemed so distant and strained at times. He goes to the battle fields where his dad once fought six decades before in hope of discovering something about his father and perhaps himself as well. This is where the story takes a huge leap into the new age as he somehow is transported back in time to the battle and among the young men fighting there. Ultimately, he seeks out his 19 year old father and in the midst of the raging battles they grow to become close buddies. The author’s very creative efforts actually allow you to suspend your disbelief, as you accept this as some kind of Einstein possible alternate universe and begin to get into the story and learn about each man. There is a great deal of factual history in this story as it jumps successfully through fantasy and fact with ease. This book is entertaining beyond a doubt but it is also a story about forgiveness, love and relationships and more importantly, a spiritual understanding that grows between father and son. Hyde is a brilliant wordsmith and he puts his story together with great skill and imagination. The dialog fits well with the action. The characters in the book seem so real that they jump right off the pages into your heart and mind. This book was well crafted and is certainly an original genre. His ending with its time travel indications will open up your thought processes. There is a good mixture of humor, drama, action and the full spectrum of emotions, all mixed into a storyline for the ages. This book is destined to become a classic tale. It is that incredible of a story that you will want to recommend it to others as I am to you. You will not forget this story. After you finish reading it, you will not emotionally walk away from it for a long time; as you examine your own relationships with others in your life. This book, even though it is a novel and even though it deals with issues that seem surreal, will inspire and enhance your own personal inner search for understanding; not many novels will do that for you. A True Story of Survival and Friendship. This book Touching the Ancient One – a True Story of Tragedy and Reunion could have been a very good book had the author Rupert Pratt just written about the crash, the survival and the rescue. However, he exceeds the ordinary telling of a tragic story and takes us into the present time for a reunion and follow-up on those who were touched by the events of February 5, 1954; and that makes for an outstanding book! The event that brings all these lives together was a crash of an Air Force C-47 into a desolate mountain region of Alaska where six people miraculously escaped death and survived in freezing weather. The story is not just about the survivors but also those who come to rescue them. The glue that makes this story so interesting is the power of Pratt’s writing. He takes the reader with him through his words and memories and creates an exciting true tale; it is brilliantly done and conceived. This is truly one great book. This story is not just about a crash, it is about people. It is about how their reunion 42 years after the crash and the rescue, changes all of their lives once again. It is a most unusual life experience and one that the reader gets to share in an emotional sense. This is an epic story which has all the elements of what would make a great movie plot. It is entertaining, thoughtful, and almost spiritual in some ways. On February 5, 1954, an Air Force C-47 broke apart over the Susitna Valley of South Central Alaska and fell onto Kesugi Ridge. Six miraculously escaped, survived bone-chilling cold, and were rescued through the efforts of pilots Cliff Hudson and Don Sheldon. Unacquainted with one another before the accident, the Air Force men bonded in the hospital. Forty-two years later, the survivors and their families, the families of the victims, and rescuers came together for a reunion in Dayton, Ohio. It was a meeting that would change their lives. This is a true story, told by one of the survivors. Rupert Pratt's book celebrates life and friendship—themes set appropriately against the backdrop of Kesugi, "The Ancient One." An impressive and historic memoir of a little know piece of history. The first chapter just jumps right into the dangers and emotions that author Patricia Linder found herself in during a little remembered part of our foreign policy. Her experiences living in Taiwan during a time when the United States was pulling its protection and official recognition to build relations with communist China, is one full of emotion. Her first person account of that period of history is very well told in her newest book The Lady And The Tiger. Linder does a masterpiece of reporting from her own heart and soul. She sounds like someone who not only was there physically, but was fully aware of all the political and social issues that surrounded what was happening. She has an intelligent grasp of what happened and why. She writes with great passion and skill to weave the facts and emotions together to give the story lots of energy and movement. This book, at times, reads almost like an action novel. You will get hooked from page one and will have a hard time putting down the book. She faces riots, mobs and angry people all with great courage. She has to deal with tapped phones, and armed guards that she cannot fully trust and even rooms in her own residence that are bugged with listening devices. The events and culture that she found in Taiwan are not what this wife of a Rear Admiral was expecting. This was a tour of duty that was going to really test her soul! Patricia Linder's newest book The Lady and the Tiger gives the reader and in-depth account of life in a foreign country during a politically uncertain time. The setting is Taiwan, Republic of China during the last days of the Mutual Defense Treaty in 1979. To the west is communist China, determined to reclaim this island it calls "a rogue province" and thereby, impose communist rule on what has been a democracy for thirty years. Rear Admiral James Linder, representing the U.S. government as the Commander of Taiwan Defense Forces, has been given the job of protecting the Republic of China from any such incursion. The Linders, acting upon official Department of Defense orders, take up residence in Taipei and the countdown begins. As the author deals with the challenges of the ways of the Far East, the time grows shorter for the safety of the Chinese and Taiwanese they have come to know and care about. 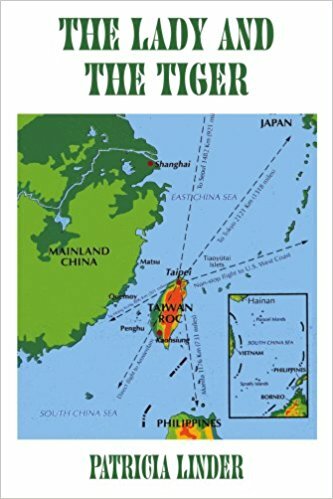 On December fifteenth 1978, the Carter Administration abrogates the Treaty that guarantees Taiwan's safety, thus leaving the Island vulnerable to a communist attack. Riots ensue and lives are threatened.This is the story of a virtually unknown chapter of American history. Feminine Energy From the Soul of a Poet. Author/Poet Carolyn Howard-Johnson displays a different side of her talented self through an unusual look at life and feelings in Tracings a collection of poetry that reflects a non-traditional structure, timing, wording and even personal outlook. This poetry does not fit neatly into most poetic styling formats. She is not afraid to hang a phrase or a feeling out there bare naked for others to ponder and absorb. Her themes are as varied and diverse as her wandering thoughts allow. She does not self censor her feelings but allows them to reflect her inner voice. Her life observations are sometimes simply “photographed in words” or emotionally “painted” with many brush strokes across the canvas of the pages. Each poem stands alone and speaks for itself. Her individual words are not what matters but the magic of how she strings them together to create this visual concept of what she is sensing and feeling or remembering is boldly articulated and leaves the reader totally in tuned with what she was trying to convey. Carolyn is a masterful and creative writer and this small collection of her poetry certainly proves that to be true beyond any doubts! There is a fire of feminine spiritual energy burning in her writings but also a powerful and steady hand of control that gives these poems a special kind of feeling. You too will notice that these simple poems are much more than what they appear to be. The Definitive Self-help Book for Military Spouses. Authors Kathie Hightower and Holly Scherer have crafted a military family resource book that comes at a time when this kind of self-help literature is greatly needed. Their book Help! I’m a Military Spouse – I want a Life Too is the best book of its kind on the market today. There is no military spouse or family that could not use their book of advice. 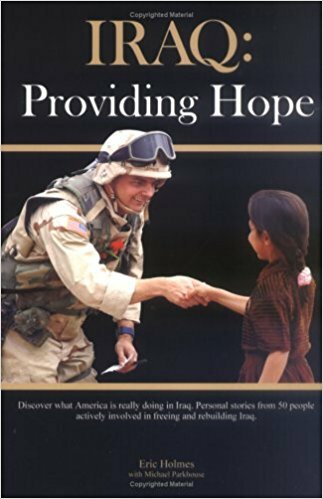 This book takes on real concerns and issues that face modern military families. Although this book deals mainly with issues related to female spouses (Only 6% of military spouses are male) I think some of the information contained could apply to both genders. The book is written well by the authors who take us a journey of learning with antidotes and small personal comments from the authors to highlight some of the points being made in the book. This book is well edited and is laid out to make it easy for people looking for information. This book is an upbeat, proactive approach to life and I fully endorse the message and advice they dispense through out the pages. Updated to address the latest issues, this ultimate self-help book is for anyone engaged to someone in the military, for the new military spouse, and for the longer-term spouse frustrated by the unique challenges of the military lifestyle. A Collection of Stories from 50 people involved with Rebuilding Iraq. The book Iraq: Providing Hope is a fascinating collection of interesting and at times, even provocative, personal life experiences from 50 people involved with the rebuilding efforts of Iraq. Eric Holmes and Michael Parkhouse put this anthology into a logical and emotional order that helps the reader get a better sense of what is happening in Iraq. There are no other books like this out there on the present world situation. It offers first hand observations of the mundane and sometimes the frightful events going on. This is not just a military tale of war but a telling of the human experience from both military and civilian point of view. The stories are woven together like a huge jigsaw puzzle. It is the totality of all the pieces of this historic puzzle that gives you a much bigger and more focused perceptive of what this whole effort in Iraq is all about. This multi-viewed story telling is like looking at an aerial photo of a battle field for an understanding of what has happened. The editing smoothly ties it all together so that it moves and flows with energy and keeps the reader’s interest throughout the book. This book needs to be read by people trying to understand the mission and the purpose of what the USA is doing in Iraq. It gives you a view that you are not getting in the media today. Put this book on your reading list! Over fifty people tell their stories of what they did and what they saw in Iraq. This is a diverse group from military, civilians, government workers and Iraqis. This composite paints a true picture of what is going on in Iraq. These stories bring out the details that headlines and sound bites cannot. To get a complete picture, this book is a must. Author Gayle Lynds has out done her previous great novels with her latest book The Coil and that is saying a lot! This book is a sequel to her highly acclaimed novel “Masquerade.” The good news for new readers to Gayle Lynds writings is that you can start right off reading this book without having read the previous story, as I did. The author skillfully fills you in and catches you up on the characters and the continued story lines— it is a seamless and professional effort on her part. The plot moves very quickly along but the reader should have no problems following the fast action, as well as the high body count as this tale of international espionage moves us around the world. You get hooked very early on as you begin to wonder why things are happening to the lead character, Liz Sansborough. The story line could come right from today’s news—it all seems plausible and believable and as a reader, I never questioned it. Trying to figure out who the good and bad guys are is a great part of the fun of reading Gayle’s book, as she unfolds new elements and information with each chapter. I found myself guessing what would or might happen next but I was always wrong. She does not take the simple path with her plot or the characters. This is a very original mystery masterpiece and thriller! It is very cerebral and impressive with the unexpected twists and turns it takes us through. The title “The Coil” comes from a covert shadow group of politicians and business leaders from around the world, but that is about all I am going to reveal about the plot. I do not want to spoil a great reading experience. If you enjoy international conspiracy theories then this book will be a rewarding read for you. A sequel to the New York Times bestselling novel, Masquerade, The Coil picks up several years later. Liz Sansborough, former CIA agent and now an academic, has managed to put the pieces of her life back together. But Sansborough has a dark secret - she is the daughter of the one of the most notorious Cold War Assassins, The Carnivore. When a series of prominent political figures are blackmailed into certain actions or die in suspicious ways, the CIA becomes convinced that someone has gotten hold of the Carnivore's files and is using that information to further some secret agenda. Sansborough herself - the closet living link to the Carnivore - is the target of a murder attempt, her offices are searched, her files stolen and her TV program on the secrets of the Cold War inexplicably shelved by the network. When she learns her cousin Sarah Walker - who bears a close resemblance to Sansborough - is kidnapped off the street with the ransom demand being the Carnivore's missing - possibly apocryphal - files, Liz is determined to save her cousin and uncover the swirling conspiracy, linked to a shadowy group known as The Coil, centered around the legacy of her father. But she's far from the only one going after the truth behind the legendary assassin. Amateur sleuthing by a military spouse, a murder, lots of suspects and moving to a new base assignment are some of the elements that make "Moving Is Murder" a great tale. Author Sara Rosett takes her experiences as a military wife and weaves a tale into that fabric that is rich and full of excitement, intrigue, action and enough plot twists and turns to keep you guessing as to who done it and why. To say that I enjoyed it would be an understatement--I loved it! I think the little heart symbol on the book's front cover indicating that it is "A Mom Zone Mystery" might scare off some male readers--but never judge a book by its cover. It is a great read for men as well as women--murder is not gender biased. It was a pleasant surprise to me to find myself hooked on this story plot so quickly. The book is well constructed and she has made good use of personal glimpses of the characters in the story; so we get to know the people in the story and get caught up in the action. Rosett has significant writing talent, that is a given; she delivers an entertaining and absorbing story. Those in the military will enjoy reading about their lifestyle and be able to identify with the actions and situations that take place on and of base an Air Force Base. There is also a nice side benefit for military families reading the book because at the end of most all chapters there are moving tips thrown in. That may sound a little odd but trust me she makes it work and it keeps the flow of the mood and energy rolling along. Moving four times in five years has honed Ellie's considerable skills. But unpacking with a newborn daughter, record-breaking heat wave, and the realization that their dream neighborhood is known as Base Housing East is enough to make her turn to chocolate for comfort. She and her husband, Mitch, moved off-base for privacy and peace of mind. Now half of their neighbors are with the 52nd Air Refueling Squadron. Forget privacy. Forget peace of mind, too. Driving home from her first squadron barbecue, Ellie finds neighborhood environmental activist Cass Vincent dead on the side of the road. The police call it an accident - Cass, fatally allergic, was stung by wasps - but Ellie's not so sure. Cass' husband said she always had an EpiPen in the car. Unfortunately, all Ellie found was a cup with sugary gunk and bits of bees at the bottom. She saw Cass argue violently at the barbecue with Mitch's buddy Jeff about something mysterious...and it just so happens Jeff knows a lot about bee-keeping. Hoping to clear Drew before the police get around to suspecting him, Ellie starts snooping in earnest. What she finds shocks her - alcoholism, blackmail, betrayal, secret debt...even illicit medical treatment the Air Force would never tolerate. But what's the connection to Cass? When suspicious "accidents" start happening in her own backyard, Ellie realizes she's getting closer to the killer...maybe too close! The Best Detective Novel I Have Read in the Last 10 Years! There is something very entertaining and fun about reading a good mystery book, or in this case, a real detective book, it was simply a pleasure. Although there is a disclaimer at the front of the book saying almost everything inside is fictional except for the detective and his family and some friends – it reads like non-fiction and you believe everything that happens. The Ninth Commandment – Thou Shall Not Bear False Witness is not your father’s detective novel – nope, this is a whole new genre of detective against the bad guys book. It paints us a whole new look at what it may really be like in the real world. Author Joe “Tuffy” Tofuri delivers the goods with his story. The book actually follows Joe along as he works on several cases at the same time. He intertwines them skillfully and mixes in lots of action. I begin to root for this guy as he used brains, guns, common sense and even a big biker to get to the truth with his investigations. The personality of the detective is not like your old Sam Spade types at all. This is a hard working man with some flaws. Nope, our hero is not perfect but he is definitely a man’s man kind of investigator. Tofuri points out some of the social ills and problems in today’s legal system as he leads us along with a great story. His take on how women misuse restraining orders and how people lie had me rethinking things should I ever be on a jury some day. He makes you a believer in what happened in his book. I think that is one of the reasons the book reads so well – it is all so plausible. The author gives you his years of experience as an investigator and not only entertains you but educates you as well. I loved the book. I like the lead character and the plot. I enjoyed reading it and highly recommend it to all those who love detective and mystery novels. You will not be disappointed! Joe Tofuri is a licensed Massachusetts private detective. He embarks on a bevy of intertwining cases during the Christmas season of 1995. First, he is retained by a wealthy businessman to find and retrieve his young son who was kidnapped by a drug dealer. The “search for the truth” comes to bear in two other cases involving domestic abuse, assault & battery, and the horrible vehicular homicide of a young boy. In the midst of these investigations, Joe takes on another case involving the search for a stolen mysterious briefcase taken by a "Biker" gang. Entering the dark and dangerous biker world, he uncovers an unlikely clue that leads him to a potential eyewitness in the vehicular homicide case. And through it all, Joe must fight the most dangerous entities of them all... his own inner demons. Great Book About America’s favorite Aviators – The Blue Angels! Nicholas Veronico has produced a marvelous collection of photos, history, stories and reference data on America’s most popular aviation group in his coffee table sized book The Blue Angels – A Fly-By History: Sixty Years Of Aerial Excellence. It is sure to please all Blue Angel fans world wide. There is so much more to his book than some cold history about the group. This book gives you both the men and their flying machines in a perfect and balanced presentation. The book not only looks great with many photos of the planes in action but the text digs deeply into the history and personalities involved with making this team a sixty year hit. The author uses some good editing and an easy to follow format to share this group’s story. It is obvious that there was some detailed research that enshrines this whole book project. It feels like a labor of love from the author and comes across in an entertaining style. The book is a tribute to a wonderful group of aviators. It will sit proudly on your coffee table or in your book shelf but if you leave it lying around the office or the house, people will begin picking it up and browsing through it – the temptation is just too great to fondle and ogle it. The good thing about this book is that it is just as much fun to look at and read the second or the third time or even the first one hundred times you pick it up. It is a collector’s book to be cherished and displayed. It began in 1946 when Admiral Chester W. Nimitz ordered the formation of a flight demonstration team to keep the public interested in naval aviation. The Blue Angels performed their first air show less than a year later in June 1946 at their home base, Naval Air Station (NAS) Jacksonville, Florida. Today, sixty years later, the Blue Angels are a worldwide phenomenon, exemplary representatives of Navy and Marine Corps aviation and international ambassadors of goodwill seen by fifteen million awestruck spectators each year. The Blue Angels: A Fly-By History tells the story of this high-flying phenomenon from its inception through the present day. Respected aviation writer Nicholas Veronico conducts readers through the Blue Angels history from the earliest Flight Leader, Roy "Butch" Voris, in his Grumman F6F Hellcat to the sleek McDonnell Douglas (now Boeing) F/A-18 Hornet that todays Angels fly. Along the way this profusely illustrated volume revisits the Blue Angels changing aircraft and role, including their incarnation as the nucleus of a fighter squadron known "Satans Kittens" during the Korean War and their flying of the McDonnell Douglas A-4F Skyhawk II in the Seventies. Well over 300 million spectators have witnessed the Blue Angels airborne exploits. This book gives readers a close-up look at the remarkable team of flyers as it made history on the wing.